Nautilus has been successful in producing gym’s or fitness equipment. One of them is Upright bike which is becoming the most favorite tools for among us who want to enjoy our workouts in our own home. And we will absolutely give you recommendation from some types of Nautilus upright bike. They are about Nautilus U616 and U618. Differently designed, they are also different in certain features. 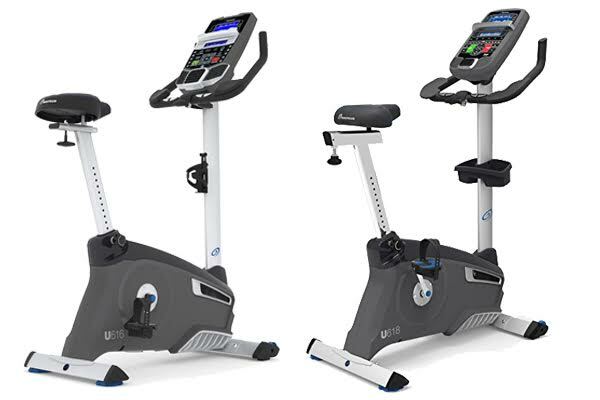 The Nautilus U618 still appears to be a good quality machine for the price because it has a very solid frame that can support users up to 325 pounds, and provides you with endless workout opportunities with its 25 levels of resistance and 29 training programs. It also has a gel seat to reduce soreness and provide a lot more comfort, and has a high performance flywheel that delivers a smooth and quiet workout. Also, as with all Nautilus bikes, it comes with lots of extra features that will make your workouts more pleasurable, such as a media tray for your iPad, phone or tablet, built-in speakers to play your favorite music and a 3-speed cooling fan to keep you cool. Plus it makes full use of the latest Bluetooth technology to help you track your performance over time using Nautilus Connect or one of the other fitness apps. So if you are looking to buy an upright bike that has lots of workout options and extra features, I would say that this appears to be a very good option. Both Nautilus U616 and Nautilus U618 offer plenty of features, but in special case, Nautilus U616 would be more than adequate for their needs and would save you some hardly earned about some dollars. While Nautilus U618 is designed for more intensive use and provide over-longer periods of training.